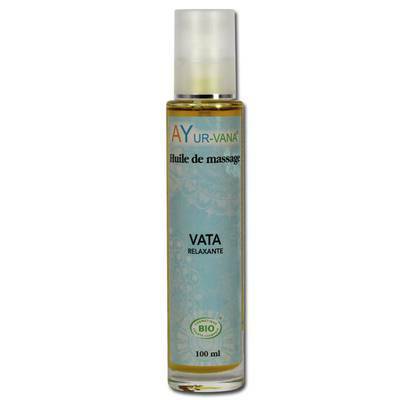 The blend of herbs composing the Vata oil is particularly interesting and soothing for this dosha. Centella (healing), Tulsi (detoxifying), and Boswellia (beneficial for joints) were infused in sesame and flax, used for their nourishing and softening effects. This combination of virtues and fragrances is balanced by Ylang-Yland and Clove essential oils. Use this massage oil for an intense well-being and to soften your skin.